They say timing is everything when it comes to getting the best deal on a new car. How many times have you heard that the best time to buy a new car is in August, or at the end of the month, or on a weekday? Some car buying mantras have been repeated so often that they almost have a mythological power over car shoppers. Some are based on solid facts and others are car buying myths that may be based in some facts but simply don’t apply to all car buying situations. Car sellers receive bonuses for meeting quotas, and these can come at the end of the year, quarter or month. So if a dealership is a few cars away from meeting a manufacturer’s sales target, then you could get a deal — if the car you want is in stock. Even if you score a deal, you may have to compromise on color and accessories (though dealers are always happy to upsell you on upgrades). But if they’ve already met their target or there is no target that month, then the deal on the last day of the month will be the same one available on the first day. One way to deal with this myth: Buy a car when you’re ready, have done your research and have your financing in order. Buying a used car will save you the most money upfront, mainly because of depreciation. We’ll get into this in detail later, but it’s a basic fact that used cars cost less than new ones. Where a used car won’t save you money, however, is in financing. You’ll find many more financing options for new cars, such as cash rebates and other incentives dealers use to get you to buy new. The best incentive can be a lower car loan rate on a new car. Credit Sesame offers auto loan recommendations based on your credit score and other personal factors. 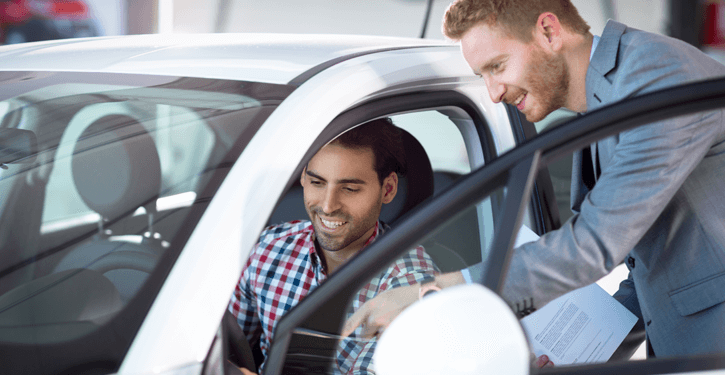 Interest rates are slowly rising, so a bigger difference in interest rates between new and used cars could translate to greater savings on a new car when combined with good negotiating skills and other incentives. 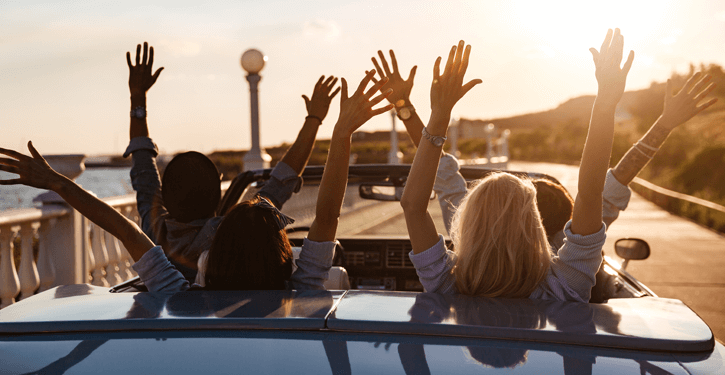 A new car has the latest technology and will give you the peace of mind that comes with the expectation that the car will be more dependable than a used car, but it will cost a lot more to buy. Some cars depreciate at a lower rate than others and hold their value well, but more often than not the opposite is true. New cars can lose 20 percent of their value the minute you drive off the lot. After a year of driving, the resell or trade-in value can drop 30 percent. Another part of this myth is that maintaining a new car will cost less because there are fewer things that can go wrong with a new car. To some extent that is true, but it’s not a reason to rule out buying a used car. Used cars are much more dependable than they used to be. Waiting only three years or less to buy the same model car can save you thousands of dollars and still get you many of the same features of the newest model. Matt Smith, editor at CarGurus.com, points out the 2016 Mazda CX-5 that’s being replaced by the 2017 model. The 2016 model “will be available with almost the same technology as the upcoming model, but can be had for a lower sticker price,” Smith says. “The logic is similar to buying an iPhone 6S before the iPhone 7 comes out where you get most of the features of the latest phone but at a reduced price,” he says. This is a myth of car insurance, and it could affect which color car you buy. Don’t let it. Insurance companies don’t even ask for the color of your car. 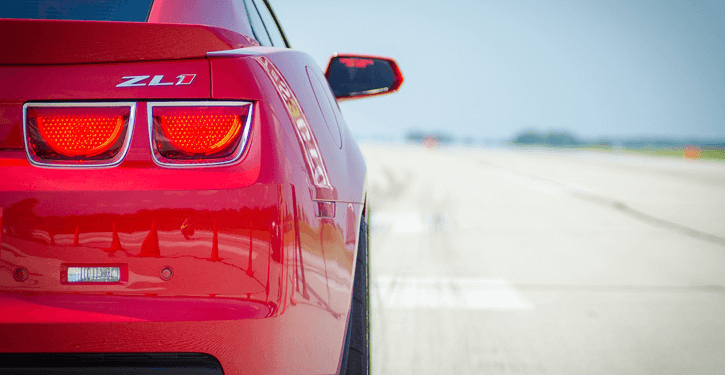 “Because of this, people generally avoid buying red cars, which means they sell for less. So I was able to save more money when buying mine,” says David Waring, co-founder of Fit Small Business, of buying a red Toyota Camry. Instead of a car’s color, insurers want to know the year, make, model, body type, engine size and age of the car (in addition to your own age, gender and credit-based insurance score). You may never know as much about a car as a salesman, but you are capable of researching the car you want, knowing area prices and being willing to walk away if it isn’t a deal you want. You can also negotiate with a seller of a used car, whether it’s a used car dealer or a private seller. Confidence can be good, but don’t be overconfident in your ability to negotiate. Car dealers do this for a living and do it daily. You likely don’t. 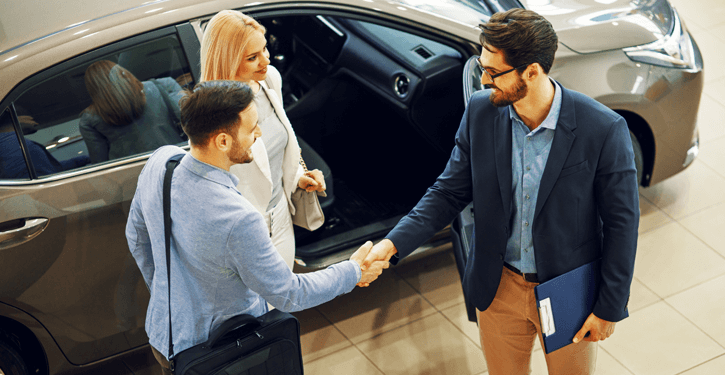 Your ability to negotiate a new car purchase every few years is unlikely to beat a team of people negotiating hundreds of transactions every month. Arrive armed with facts and bring a trusted friend or relative to help you weigh the decision. Shopping on the internet at Costco, AAA, TrueCar or someplace else that sells your information to dealerships that will honor a pre-set price for a specific vehicle is just one part of the car buying equation. Other costs that can affect your bottom line include the interest rate on financing, trade-in price, upgrades, and an extended warranty. All can be negotiated or at least be optional. 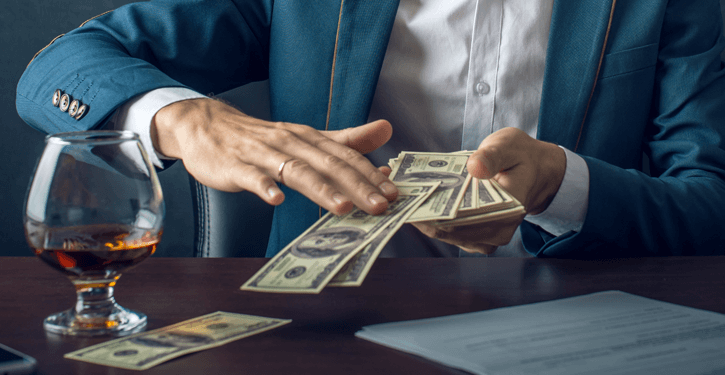 Paying all cash can get you a deal on some things, but a new car isn’t one of them — unless an auto manufacturer offers cash-only incentives, which is rare. The dealer can make more money when you lease or finance, so cash customers offer no incentive for the dealer to offer discounts. The dealer usually gets a cut if you finance the vehicle, while an all-cash transaction doesn’t put more money in its pocket. That doesn’t mean you have to accept their financing. Look for the best rate at your bank or credit union. The dealer may be able to match or beat the financing you’ve found on your own, which can be great if the numbers still work out for you. Paying cash may make them less likely to discount the price. If they can get the car payment low enough to fit in your budget, then you can afford the car, they say. Just because it appears on paper that you can buy it doesn’t mean you can afford it. Extending a loan from 48 months to 60 or 70 months lowers the monthly payments, but the overall price will be much higher. Look at the overall price. If it isn’t a number you’re comfortable with, don’t buy it. An extra year or two of car payments is no fun, especially if the car is worth less than the loan at the tail end. Even if the car payment fits in your budget, step back and carefully consider this big purchase. There’s no rush. The deal that’s offered today will still be there in a day or so, if not longer. Unless the car is a loss leader or is in limited supply, you should be able to get a similar offer next week or next month. Car sales come and go, and while a salesperson will do everything they can to prevent you from walking off the lot without buying, the price of a car should stay about the same even if you wait awhile. How it fits into your budget is your business. Only you know what you can afford and how long you’re comfortable making payments. The Edmunds True Cost to Own calculator, for instance, shows the additional costs you may not have considered when researching your vehicle purchase including depreciation, loan interest, taxes, fees, insurance, fuel, maintenance and repairs. These costs will have to part of your car budget, and can add up to more than the monthly loan payment. The cost of insuring your car alone can far exceed the financing costs in a year. A new car smell only lasts so long.